One of the largest manufactures of a motorbike in Pakistan, United, has finally launched its most awaited Bravo Car 2018 to break the monopoly of Mehran in the country. 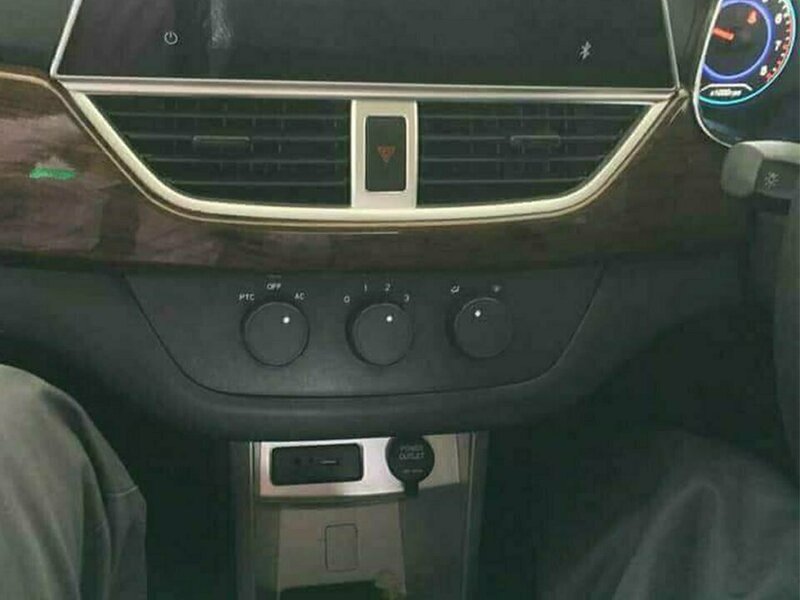 It has finally launched its most awaited economical car in Pakistan just like Mehran but many times better than it. Although Suzuki Pakistan has already announced the end of latest versions of Mehran in the country, but its popularity is still high. 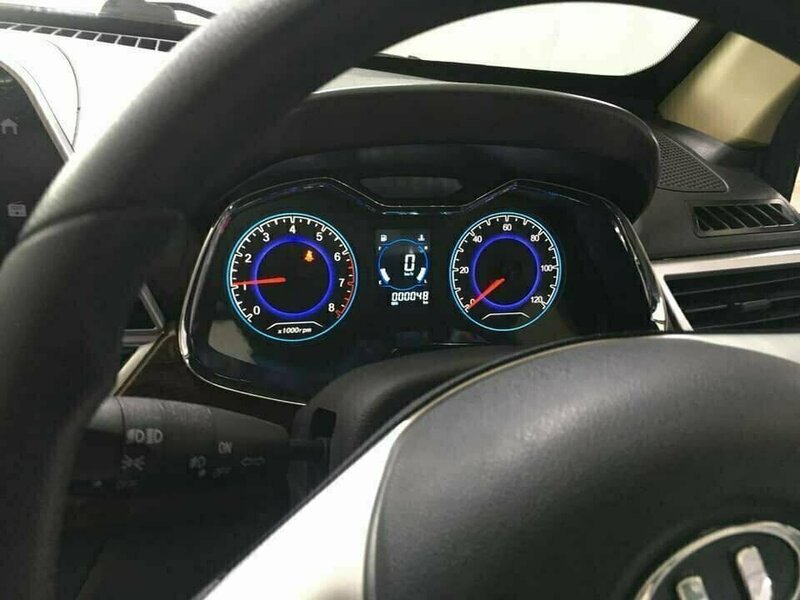 United Motors that had earlier announced the launch of two economical cars in Pakistan in last year, and has finally launched one of them. 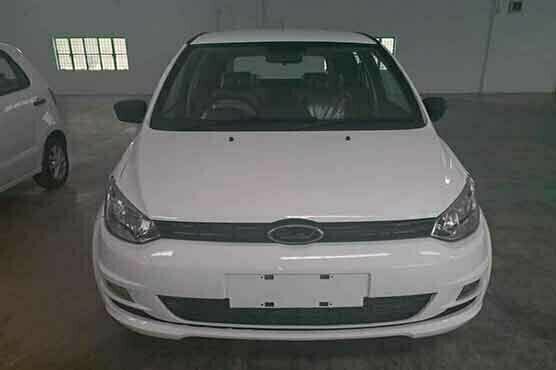 According to Pak Wheels, United Motors has teamed up with Chinese automakers for the production of this newly launched compact car for Pakistani consumers. These are being built in the production plant in Lahore. With the launch of this 800cc car just like Suzuki Mehran, United Motors aim to attract the lovers of Mehran who will now not be able to buy the latest model of Mehran due to Suzuki Pakistan decision to manufacture more Mehran. 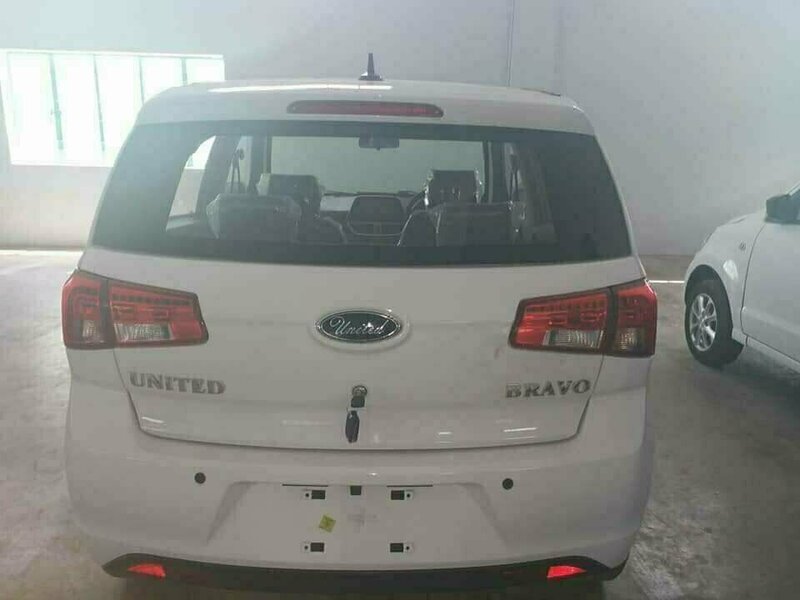 The new United Bravo is far modern as compared to the Mehran. 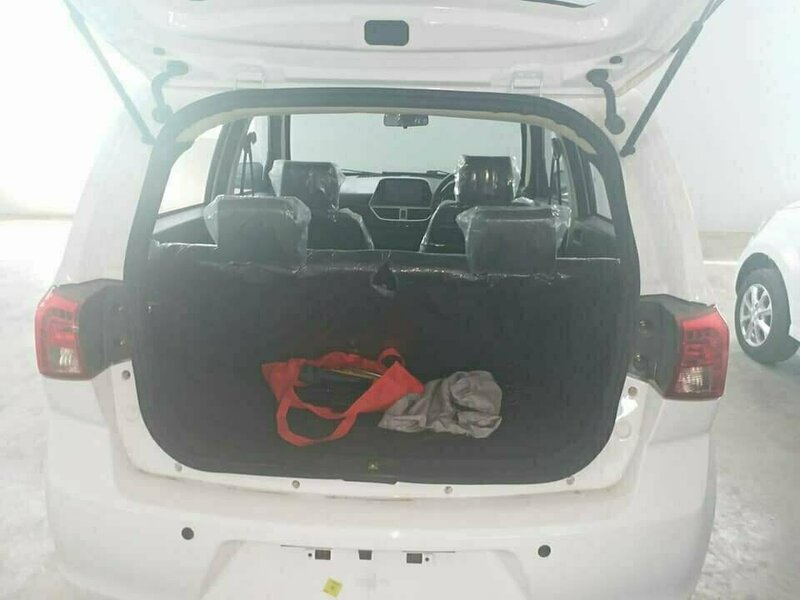 It may have fog lamp headlights, LED brake lights, anti-collision and alloy rims on the exterior. Price of United Bravo is Rs. 8.5 lacs to compete with the Suzuki Mehran. United Motors is also looking for interested 3S dealerships for its upcoming vehicles. The launch of the locally manufactured car will bring about significant change in the local car market; more options will be available to people to choose from. And keeping in view the progress of company’s bike sale and production, it is safe to assume that the car too would do well for the company. Let us wait and see how consumers receive this new car and the new pickup. The Bravo is a renamed Dahe Motor DH350, and the engine is an 800cc 3-cylinder unit. It was confirmed last year by the company that it would launch its new vehicles in the first half of 2018. 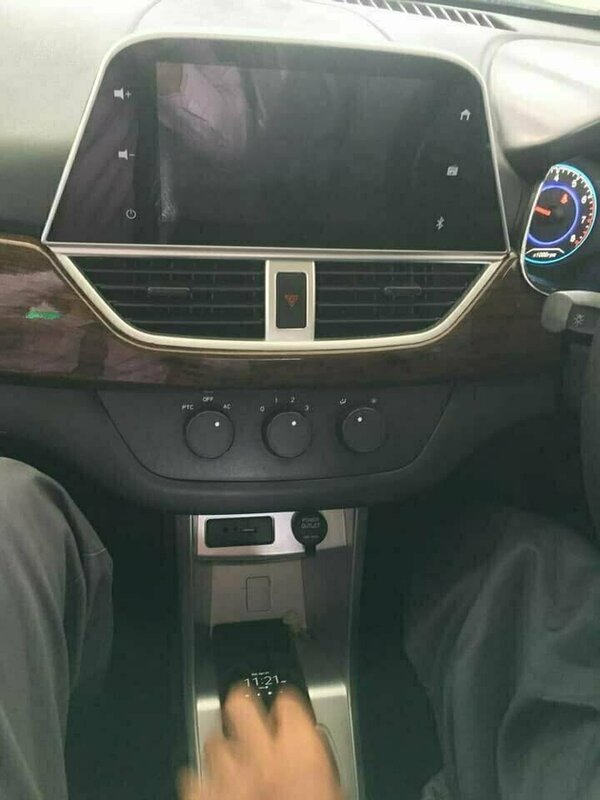 Let’s see what other features the company is bringing with the car. Price i very high, not worth more than 500K. 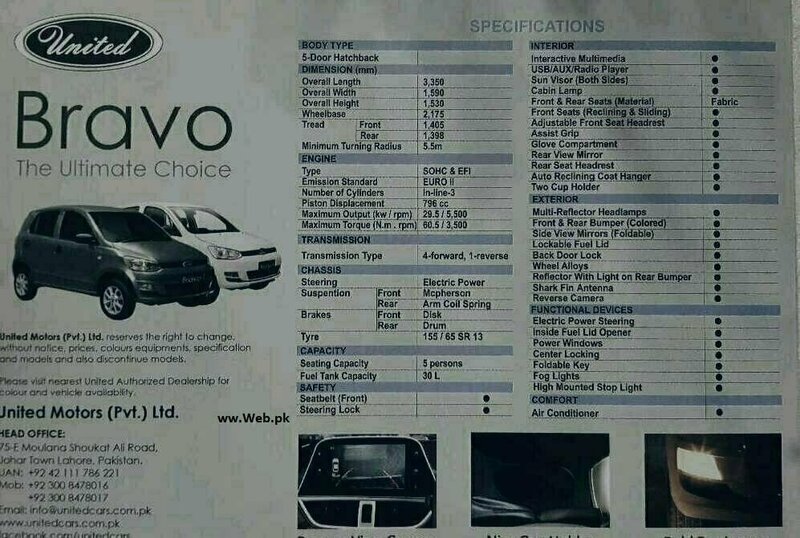 Bravo looks bit better than Mehran but main difference is Technology as Japanese Brands are well established in Pakistan where as China’s are just entering and will take some time to get due share. 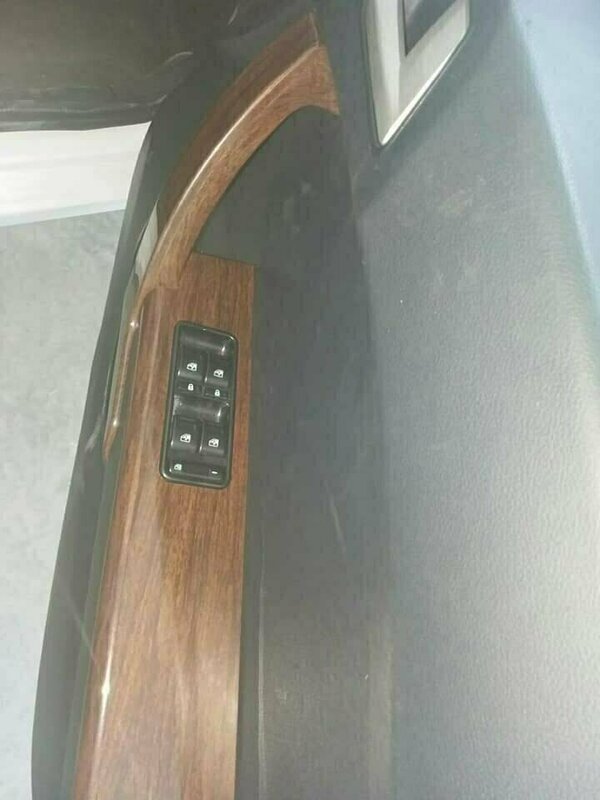 Although features offered in BRAVO are quite impressive but like all other manufacturers and by negligence of Pakistan Government officials no ABS is provided as this is more concern with safety. 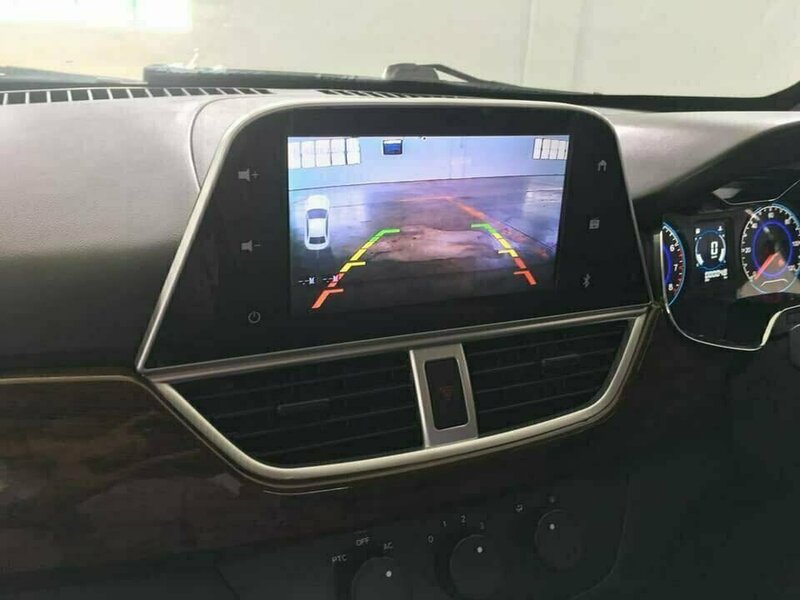 Government must force by law to all Automobile manufacturers in Pakistan to introduce all vehicles with ABS as whole world has stooped selling vehicles without ABS as this is the only feature which can help and save life of some one in the event of accident. i will request to all concerns weather they are manufacturers or users we must go for ABS vehicles as it is the matter of life not the money. 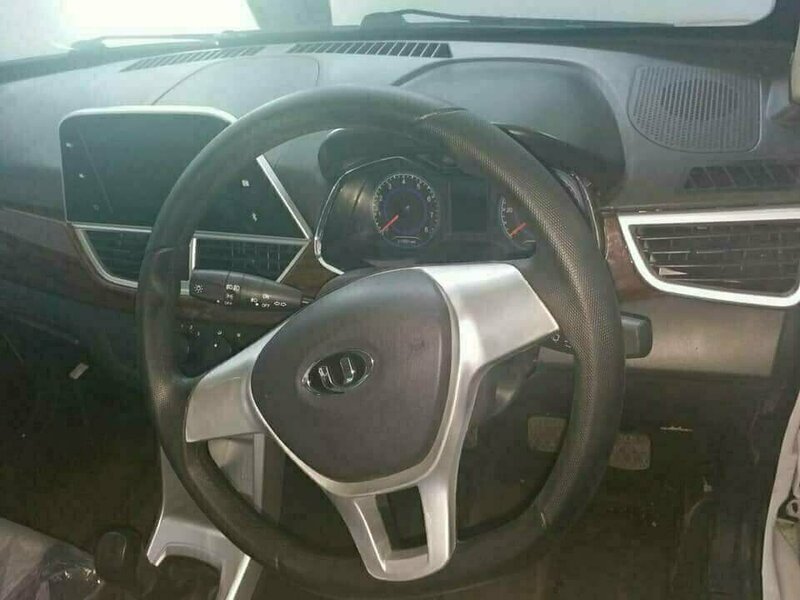 It looks like a very nice car. Price wise little high (should be less than 8.5 lacs), due to 3 piston what is the pickup condition, did EFI work well on 3 piston, it needs time to capture the market, a lot of reason: newly arriving car need public attention without any issues in the car. The result will come up in 6 months after purchasing and driving actually on road. Its pick up, and other mechanical and electronic issues. Let’s see its performance and public acceptance. Will it compete with other Japanese cars already running. Wish United motors a Good luck.